The City Council passed two laws that show the City of New York truly leads by example. 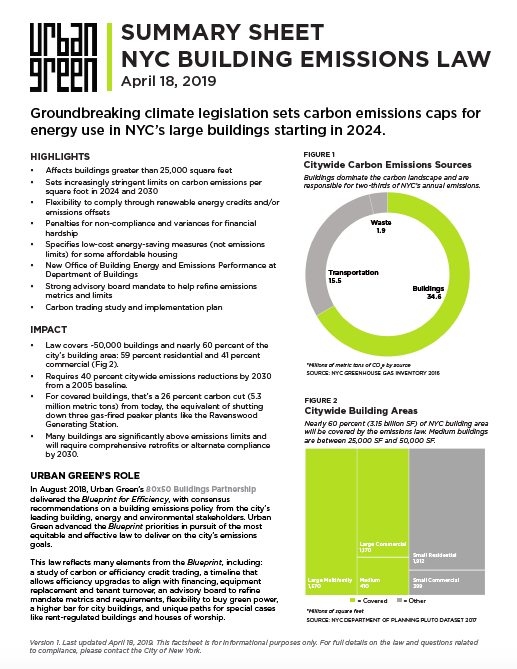 The new legislation—LL31/2016 and its sister LL32/2016—both amend the city’s current LEED law, strengthening existing sustainability requirements and introducing new measures that will make NYC-owned buildings among the most efficient in the country. Most striking? Most new city buildings and major retrofits will need to achieve LEED Gold and cut energy use in half. Passage of these two bills also represents a homecoming of sorts for Urban Green. Executive Director Russell Unger played a major role in drafting NYC’s groundbreaking LEED law a decade ago—LL86 of 2005, which required LEED for new city construction—and this new legislation ushers it into the post-Paris era of policies that will deliver deep carbon reductions. We commend the City Council for passing a bill that brings the law up to date and puts NYC on the leading edge. The impact of this legislation will extend far beyond the city’s vast municipal portfolio, which amounts to 5% of the city’s building stock. New York’s designers and builders will need to create a new generation of hyper-efficient buildings that will ultimately advance building practice in the city’s private sector as well, and have worldwide implications given the international reach of many NYC firms. LL31/2016: A data-driven law that cuts energy use in half for municipal projects. Requires that new capital projects for city-owned property (new construction, additions and substantial reconstruction) be designed to use no more than 50% of energy used today (called “low energy intensity buildings”). Allows both an energy budget path to reductions based on the median energy use for the building type as measured in the LL84 benchmarking data; and an energy modeling path based on the energy used by a building designed to meet ASHRAE 90.1 2013, which will be the city’s new energy code by no later than 2017. Allows the Mayor to establish alternative—but equally stringent—targets if needed. 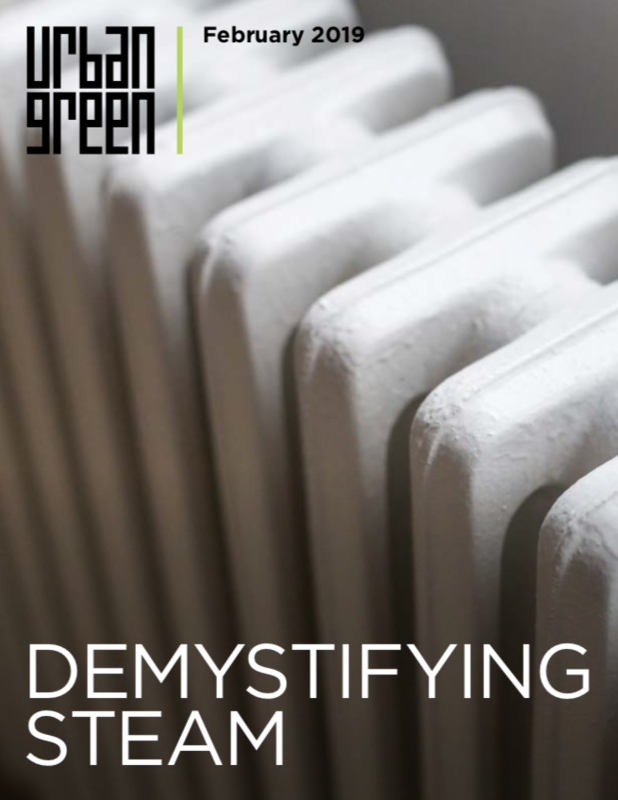 All projects must consider the feasibility of providing at least 10% of energy from onsite renewables, and projects three stories or less must consider the feasibility of net zero energy use. The city must develop a plan to ensure that by 2030 capital projects are designed to use no more than 38 kBTU/sf/year for new construction and 42 kBTU/sf/year for substantial renovations. Starting in 2019 and every third year thereafter, city must create a report containing best practices for designing low energy intensity buildings. 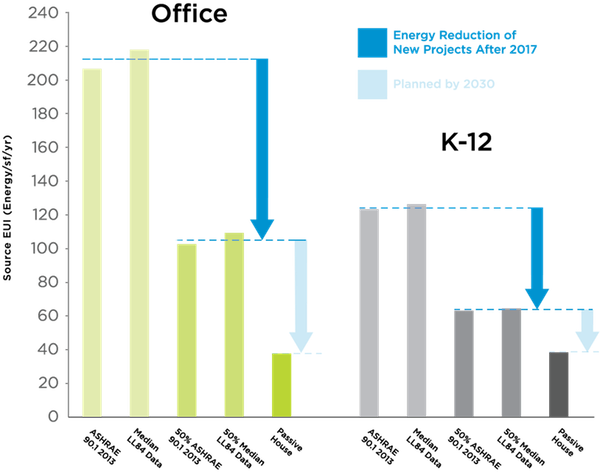 How LL31/2016 would affect two different types of city projects: schools and office buildings. Note how the two standards (ASHRAE and LL84 median) result in almost the same EUI numbers. 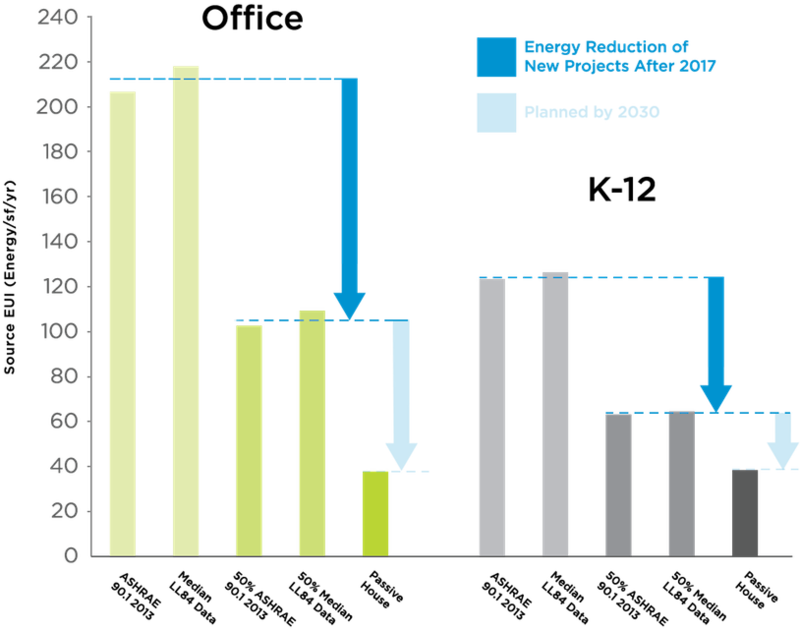 The dark blue arrow shows the dramatic energy reductions required after 2017, while the light blue arrow shows future plans for reductions. LL32/2016: A law that broadens and deepens sustainability for municipal projects. Covers capital projects on city property with an estimated cost of $2 million or more, and other capital projects that receive significant city funding. Updates sustainability standards from LEED v3 to LEED v4, which has new requirements for Health Product Declarations and Environmental Product Declarations and more stringent requirements for energy efficiency. 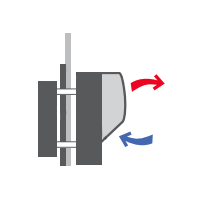 Note that for most projects, the more stringent efficiency requirements of Intro LL31/2016 will exceed and supersede the LEED energy efficiency requirements. Most new project types will be required to achieve LEED Gold rather than LEED Silver. Schools and hospitals will be required to achieve LEED Gold or alternative standards as designated by the Mayor, rather than LEED certification. Residential buildings, which had been exempt, will now be required to comply with the NYC version of the Enterprise Green Communities Criteria. Industrial, Factories, and High Hazard, which had been exempt, will now be required to meet the requirements for LEED certification, with some exemptions and/or alternative paths for additions and substantial alterations. All LEED Gold projects will be required to certify with USGBC, whereas only 50% had to certify in the past. Laurie Kerr, FAIA, LEED AP is the Director of Policy at Urban Green Council.